Your Android display probably isn’t that big. Even if you’re using a phablet-sized device, the display will be around seven inches at most. Meanwhile, the TV on your wall is 30 inches or bigger. So how do you connect your phone or tablet to your TV for the ultimate big-screen Android experience? Why Connect Your Android Phone to Your TV? One reason is for gaming. On the big screen, mobile gaming suddenly becomes a public pastime rather than a private one—you might even stop using your game console. The possibilities are here are considerable. You might find it such a good experience that you won’t want to play Android games without your TV. Connect a controller to your device for the best results. Meanwhile, your photo and video collection might also prove perfect material for sharing, while presentation software can take advantage of an HDMI link to your display. You might even want to use an HDMI connection to your TV for productivity purposes. So just how do you connect your Android device to your HDMI TV? Probably the most obvious method is via the popular Google Chromecast Ultra. This is essentially a tool for streaming media—or your phone’s display—directly to a TV. The Chromecast has an HDMI connector and a USB power cable (most TVs have a USB port that provides enough energy to power the device). Once paired with your Android device, it’s ready to use. All you need to do is use the Cast command in Android’s pull-down Quick Settings menu, or find the icon in your favorite apps. For instance, the mobile Chrome app has a Cast option. For full details on setting up Chromecast and streaming the content to your TV—or mirroring your games—see our comprehensive Chromecast setup guide How to Set Up Your New Google Chromecast How to Set Up Your New Google Chromecast If you own a brand new Chromecast but have no idea how to use it, let our easy-to-follow guide help you get started in mere minutes. Read More . Another way to wirelessly mirror your Android device display is using an Amazon Fire Stick. The idea here is similar to using Chromecast: you link the two devices together and “cast” the home screen to a TV. You’ll then be able to view content, apps, games, and any streaming media on your TV. The Amazon Fire TV Stick is one of Amazon’s best sellers, and a far more flexible media center option than the Google Chromecast Ultra. See our guide to setting up the Amazon Fire TV Stick for more information. Miracast, a wireless HDMI system, comes built into many modern TVs. Even if your TV doesn’t have Miracast compatibility, you might find that your Blu-ray player or media center does. Failing that, you can connect an inexpensive Miracast dongle to your TV’s HDMI port. To connect to a Miracast device with a device running Android 6.0 Marshmallow or newer, open Settings > Device connection > Screen mirroring and follow the steps there. For older devices, use Settings > Display > Cast Screen, open the menu, and check Enable wireless display. In recent years, support has improved for USB to HDMI. For this, you will need a converter to convert signals from the USB connector (usually micro-USB, or perhaps a USB type-C connector) to the HDMI cable and display the output on your chosen TV or monitor. You can buy a suitable USB to HDMI converter on Amazon. Compatibility for the converters differs across devices. Samsung phones and tablets work with them, as do some HTC and Motorola devices, but others may not. Don’t simply go out and buy a generic adapter. Instead, search Google for “USB HDMI adapter for [Your Device]” and see what comes up. Often the first result will take you to an Amazon page for the piece of equipment you need. MHL: This stands for Mobile High-Definition Link and offers HD video and eight channel surround sound. It was dfunded in 2010 and currently offers the superMHL specification. Devices are available with both micro-USB and USB Type-C.
Slimport: Has low power requirements, meaning that you canconnect your phone to your TV without draining the battery. Unless you’re playing a game with heavy graphic requirements, of course! Fortunately, many Slimport cables feature a micro-USB port for connecting your charger cable. Note that other AV adapter types are available. If you don’t have an HDMI TV, you might opt for a VGA-compatible Slimport cable instead. Another way to connect your Android phone to your TV is as a USB storage device. While this is no good for screen sharing, it will nevertheless let you view photos and video on your TV. So while you can’t stream video from your favorite sports app to the TV, you’ll still be able to share your holiday videos. Just make sure the USB port on your TV (or other media device) is for public use, as some are limited for engineer use. The TV’s remote control should also have some media control options so you can find the files you want to view on your phone. 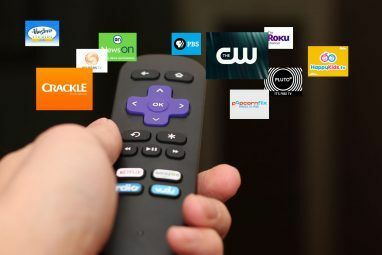 Check our guide to connecting your phone to your TV via USB How to Connect Any Phone or Tablet to Your TV Using USB How to Connect Any Phone or Tablet to Your TV Using USB Wondering how to connect your phone to a TV using USB? Here are your best options for connecting your Android phone, iPhone, or any tablet. Read More for more information. Various devices, from TVs and Blu-ray players to set-top boxes and consoles, support Digital Living Network Alliance (DLNA) guidelines. This means that with the right app installed on your Android device, you can stream media directly to your TV. DLNA is widely used What Is DLNA and Is It Still Used? What Is DLNA and Is It Still Used? DLNA was built for a world where local media was king. Read More , and built into most devices, so you don’t need any additional hardware for this. 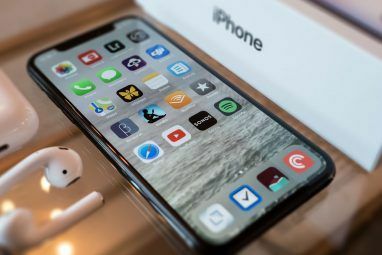 What you will need, however, is an app like BubbleUPnP, or perhaps AllConnect. You should also consider Plex for Android. A few years ago, several Android phones and tablets shipped with a physical HDMI-out port. These devices included the Sony Xperia S, LG Optimus 2x, LG Optimus 3D P920 (pictured), Acer Iconia A1, and others. Should you have one of these older devices, you’ll need a special HDMI cable. These have a standard Type-A connector at one end and a suitable connector at the other. This might be Type D (micro-HDMI), Type-C (mini HDMI), or the standard Type-A. The problem with these phones, however, is the age. 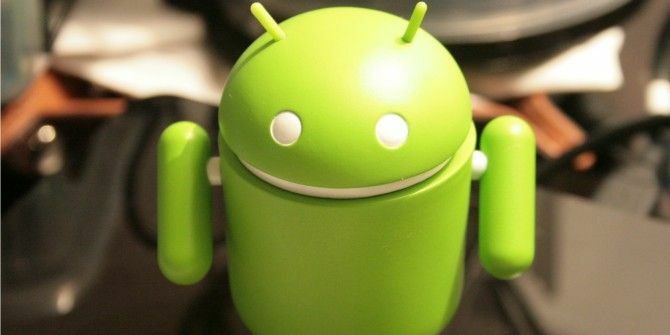 You won’t be able to enjoy the latest versions of Android with older hardware, and by extension, the safety and stability of security updates. 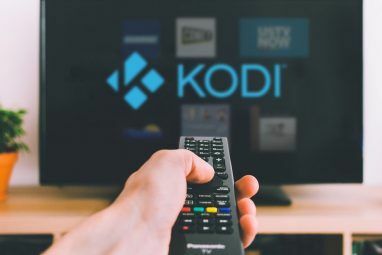 However, if you can get hold of one, you could install Kodi How to Use Kodi on Android Devices How to Use Kodi on Android Devices Using Kodi on your Android device is a two-part process. Here's how to get it set up and how to cast Kodi over Chromecast for viewing on a TV. Read More to make a compact media center! Go On, Connect Android to Your TV! With the right hardware, you can enjoy the high quality output of your Android phone or tablet on your HDTV. Whether gaming, looking at photos, or enjoying music, the possibilities are intriguing. You might, for instance, run Plex or Kodi for Android on your phone or tablet. Your once-personal portable media center (which might have had some LAN broadcast possibilities) is now a full-fledged media center, capable of displaying movies and TV shows on your family TV for everyone to enjoy. With HDMI compatibility so affordable, it seems a waste to ignore this feature. For more like this, check the best Chromecast games 13 Best Chromecast Games to Play With a Phone or Tablet 13 Best Chromecast Games to Play With a Phone or Tablet Chromecast has lots of top games to play on your TV with your phone or tablet. Here's the best Chromecast games available on Android and iPhone. Read More to try on your TV. Explore more about: Android, Chromecast, HDMI, Mirroring, Television. Went to Amazon and purchasers state newer version of Chromestick stalls and other problems. Cheapest device= $43. (tax) DLNA app reviews reveal updates trashed the apps. So research so far does not sound promising. App developers must need job security. Why else would updates wreck something that works?